Mindtree promoters have said that they would unconditionally oppose the reported hostile takeover bid by Larsen and Toubro Ltd.
L&T announced it has signed a Share Purchase Agreement (SPA) with Cafe Coffee Day owner VG Siddhartha to purchase his 20.32 percent stake in Mindtree at a price of Rs 980 apiece and has also additionally placed a market purchase order with its stockbroker for acquiring upto 2.48 crore equity shares at the same rate, equivalent to 15 per cent holding in Mindtree. Following the announcement, L&T shares opened 5 points lower against its previous close of Rs 1378.85. It slipped as much as 2.24 percent to hit an intra-day low of Rs 1,347.95 a piece. The stock recorded a high at Rs 1376.95 for the day, which is 5.6 per cent lower than 52-week high of Rs 1,459.10. The stock has fallen 3.48 per cent in last two session and has underperformed the sector by 1 per cent. The engineering conglomerate plans to invest a total maximum acquisition consideration of Rs 10,733 crore to buy 66.32 per cent in Mindtree in a bid to help propel L&T's technology portfolio into top tier of Indian IT companies. L&T stock has been trading higher than 20, 50, 100 and 200-day moving average but lower than its 5-day moving average. The share has 1 lakh volume in BSE and above 23 lakh in NSE. 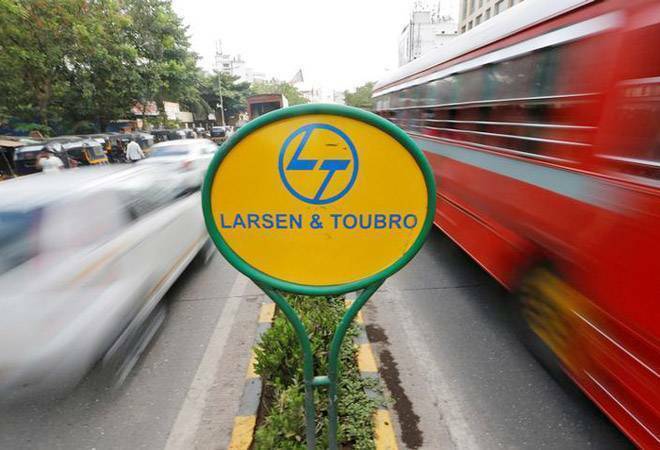 On the contrary, the initial shock led Larsen & Toubro Infotech to a fall of Rs 1,542 marking today's low, but the share rebounded 6.21 per cent to score day's high of Rs1671.10, almost 98 points or 6.22 per cent. The total volume of the trades in L&T Infotech amounts to 7.40 lakh, with 29,651 shares and 7,10,363 shares changing hands in BSE and NSE respectively. Mindtree shares, after opening at the day's high of Rs 978, almost 15 points up from the previous day's close of Rs 962.50, soon slipped into negative terrain. It declined as much as 2 per cent to touch an intra-day low of Rs 942.65.